After her brother joined the army early in World War ll, Doris Coppell decided she’d also sign up when she could. And as she says, “the thought of all those lovely sailors was tempting, so I thought I’d opt for the navy.” And indeed she met her future husband while serving at the HMS Philomel training base in Devonport. Just six weeks later she married the British sailor in a borrowed wedding dress. 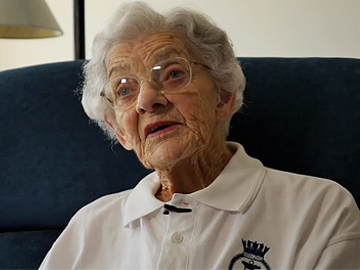 A spritely 92 when interviewed, Coppell recalls the ups and downs of service life, and the course of her post-war years in the UK with affection. Coppell passed away on 16 July 2016. 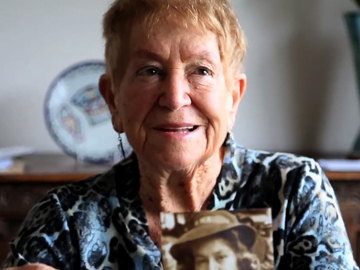 Early in World War ll Barbara Rowarth was desperate to join the Navy. But what became WRENS (Women’s Royal New Zealand Naval Service) was yet to be formed, and Barbara had to wait until 1942. Initially the WRENS were only taking cooks and stewards, but she joined up anyway and ended up in signals with the rank of 4th Officer. Barbara loved the WRENS and aged 93, looks back at that time with affection. That’s despite a bout of rheumatic fever which almost certainly would have killed her if not for a dose of the first penicillin to be made in Auckland.